Diet soda and other products that contain sugar substitutes can have a harmful effect on the thyroid. 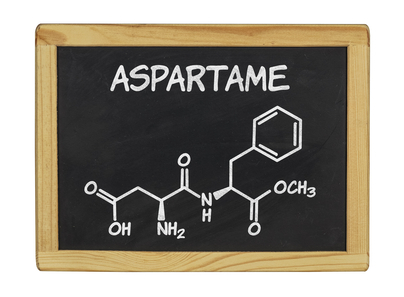 The issue here, in my opinion, is the conversion of artificial sweeteners, like aspartame, into formaldehyde. Like many environmental toxins, this causes inflammation and an immune response. A case report presented at the American Association of Clinical Endocrinologists (AACE) 22nd Annual Scientific and Clinical Congress. Issac Sachmechi, M.D., F.A.C.E., F.A.C.P., of New Hyde Park, New York, treated a patient diagnosed with Hashimoto’s thyroiditis that resolved completely with the elimination of artificial sweeteners including Sweet’N Low, Equal, SPLENDA®, and diet sodas. “An overabundance of sugar-substituted beverages could pose a serious health risk if you are a thyroid patient,” says Dr. Sachmechi. “While the issue is being studied more in-depth, thyroid patients should manage their intake of sugar substitutes while consulting their endocrinologist,” he adds. Formaldehyde, widely known as an embalming fluid, is a by product of the breakdown of aspartame in the liver and may be associated with immune system disorders. It is important to understand how the body clears environmental toxins, pollutants, and chemicals. In our bodies this happens primarily in the liver. However, although the liver has hundreds of enzymes to clear many compounds, it still does not have enough to clear everything out of your body. And, unfortunately, many of the most common and most toxic environmental compounds can not be cleared by the liver. What Happens When the Liver Doesn’t Clear These Toxins, Pollutants and Chemicals? They become lodged in the body and activate inflammation and disrupt the immune system. This can lead to chronic pain and inflammation, cancer growth and autoimmunity. Recent research has led us to discover several important ways that your body deals with exposure to these toxins. 2. They initiate inflammation, cancer and auto-immune disease through a signaling system in your DNA called NF-Kappa B. 3. They clog your liver and make the liver work harder at clearing toxins and they make liver detoxification not work as well. 4. They cause leaky gut syndrome. 5. They lead to loss of chemical tolerance and multiple food allergies and sensitivities to chemicals, smells and things that never used to bother you (which some researchers think may be the beginning of auto-immune disease). The unintended consequences of better living through chemistry, people. The very first step toward remission is to remove all gluten products from your diet. It Will make you really take notice a few months after giving gluten up for good. Diet is key to remodel in your life.